Whether you are a buyer just looking to purchase, a brand new homeowner, or a seasoned property holder, you’ve likely thought of a number of different ways to make your money work for you. And one that often rises to the top of most people’s list is the idea of paying off their mortgage early. 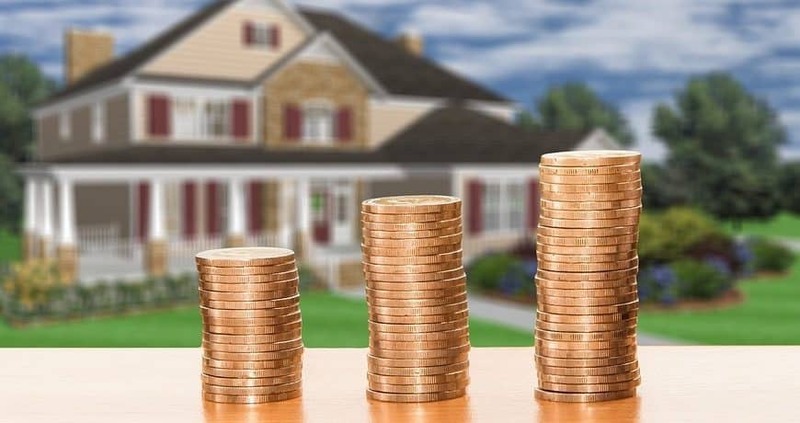 Before you start dumping all of your extra cash into your home mortgage, though, it’s important that you decide whether it even makes sense for you to pay your mortgage in full ahead of time and then consider financially savvy ways to do it. For some people it’s actually more beneficial to start socking away a little extra in a Roth IRA or 401(k) before paying down the mortgage. Likewise, if you anticipate your kids attending a college with “needs-based” aid, some institutions actually consider home equity as money in the bank – a consideration that can actually hurt your child’s chances of getting financial aid. If you’ve already considered both sides of the equation, however, and decided that you still want to pay down your mortgage early, there are several ways you can get the ball rolling. And some won’t even cause you to see a drastic change in your monthly cash flow. 1. Pay extra each month. Obviously one of the simplest ways to pay off your mortgage early is to start paying a little each month. If you’re ready to go ahead and throw a little extra cash at your mortgage each month, the most effective way to do it is by calculating 1/12 of your monthly principal and interest and adding that to your payment each month. By doing so, you’ll end up paying the equivalent of 13 payments over the 12 months in a year. To work out the math, simply divide your currently monthly principal and interest by 12. Then add that to your regular payment. Be sure to contact your mortgage provider before making any extra payments, though, to make sure you do what is necessary to make sure that your additional payments are applied to your loan correctly. Once you’ve begun making extra payments, diligently check your statements to ensure that the money is being allocated properly. 2. Make an extra lump sum payment. If you don’t have the extra cash to put toward your monthly payment but end up with a fair amount of savings periodically, then use that lump sum to apply an extra payment each year or whenever you can. For example, if you’ve gotten a good return on your taxes, consider applying some of that to an extra payment. If you were able to use this method to pay the equivalent of an extra payment once a year, you’d shave years off your mortgage and save yourself thousands in interest. To put it into perspective, if you have a 30-year mortgage for $200,000 a 4.5 percent, you’d save yourself $27,000 and pay off your mortgage four years and three months ahead of schedule. 3. Switch to biweekly payments. One of the most effective ways to shorten your mortgage without adjusting your monthly spending is to make a payment once every two weeks, rather than just once a month. So, if your payment is typically $1200 each month, you’d pay $600 every other week. Scheduling your payments this way has roughly the same impact on your monthly budget as a once-a-month payment. However, instead of making 12 payments a year, you’ll end up making 13 full-sized payments every 12 months because there are 52 weeks in a year. This method of payment helps you make an entire extra payment every single year without having to scrounge together any extra money. To really put it into perspective, think about it based on a 30-year $200,000 mortgage. With an interest rate of 5%, making biweekly payments would save you roughly $34,000 and help you pay off your mortgage nearly 5 years ahead of schedule. 4. Apply your extra payments to principal. Again, it’s important to check with your lender to determine their policies regarding extra payments, but most mortgage companies, like First Savings Mortgage, allow borrowers to make extra payments and earmark them “principal only.” This means that the entirety of the extra money goes toward paying down the principal rather than the principal plus interest. Even just a little extra paid on the principal can have a significant impact on the amount of interest you save as well as the length of your mortgage. An effective way to regularly manage this type of extra payment is to round your normal payment up. For example, if you actually owe $1,052 a month, round it up to $1100 and dedicate the extra as a principal payment. That small amount of extra each month will add up more quickly than you’d think. 5. Refinance for a shorter-term. Refinancing is one of the standard ways to save time and money on your mortgage. This approach is particularly effective if you currently have a 30-year mortgage and refinance for a 15-year loan. Doing so will not only help you pay off your mortgage faster, but you’ll likely get a better interest rate as well. And because you won’t be paying as much in interest, you won’t necessarily be paying double the DC mortgage rates of your 30-year mortgage. Keep in mind, though, that refinancing does involve closing costs. So be sure to do your calculations wisely. And only refinance if the interest rate with the new refinanced mortgage is less than the old. Otherwise, you’d be in a better position to pay down your mortgage using one of the other methods. Regardless of how you choose to pay off your mortgage early, doing so can come with a variety of added benefits as well as costs. A reputable mortgage broker and financial adviser can help you way the pros and cons and help you determine if it is to your advantage to pay off your mortgage early and how you can most effectively do so. So look for an individual you can to help you determine what is the right approach for you.